The history of T'ai Chi Ch'uan is disputed to this day but I believe the first martial art system based on the original principles was created by the Chen Family and called the Chen Style. Indeed, it is the one style in existence today that can truly be called the ultimate martial art or "Supreme Ultimate Fist or Boxing". It is the general consensus too that the Yang Style which I practice for health came directly from the Chen Style. No matter which style you practice, if the ten underlying principles of T'ai Chi Ch'uan, "Yang's Ten Important Points", as originally stated in "T'ai Chi Ch'uan Ching (Treatise) by Chang, San-feng (est. 1279 -1386 A.D.) are adhered to properly, you will nurture your Chi and experience a powerful and blissful state of Being. I will post the ten points in new entry soon. This history is very detailed and is authored by one of the foremost authorities on T'ai Chi Ch'uan today, Harvey Kurland. It is quite long but anyone interested in this magnificent art will find it very interesting reading. This is a Path to Enlightenment if you dedicate yourself to the point of living and breathing the art - a true Path with Heart. Enjoy! T'ai chi ch'uan was originally taught as a martial art and longevity exercise. In the early 20th century the health benefits were discovered and it took on a new persona as a preventive medicine or wellness exercise. It was later promoted by the Chinese Government to keep the citizens healthy. The martial art aspects then took a back stage to it being a health exercise in China. Consumer Reports (CR, Feb 2000, p 45) calls t'ai-chi the "Ultimate low-impact exercise", an exercise that can be done by any one who can walk, the only caveat being people with knee problems may have problems doing it. CR claims t'ai-chi can improve cardiovascular endurance as well as improve posture, strength and balance. CR sites a 1992 Australian study that found it had the same effect as brisk walking on heart rate, blood pressure and stress hormones. Scientific studies have found that it can lower blood pressure, improve balance, improve circulation and make seniors feel empowered. According to Dr Robert Whipple, a gait and balance expert, "T'ai-chi has come up with the best possible biomechanical scenarios for keeping a person stable - to maximize your standing base by widening your stance, and to keep your head and torso as vertical as possible." (CR, Feb 2000) The methods showing the best results have the feet in a wide stance position, with the back and head held straight upwards. As the t'ai-chi classics stay the head is held, "As if suspended from above." There should be no leaning over, forward, back or to the side. Adapted From H Kurland, "The Web of Tai Chi Chuan"
T'ai-chi ch'uan (also spelled taijiquan and taiji chuan) is an ancient Chinese martial art that comes in so many variations that it's often confusing to the layman. Some styles can trace their lineage back to the founding of the art, while others date back to the early part of the 20th century. Some stress competition, while others emphasize health or self-defense. Obviously, without the proper information, choosing the one that is best for you can be a daunting task. This article will present an overview of the major styles of tai chi, and after reading it you'll be able to understand how one style begot another. And you'll be able to more easily choose one that is right for you. Before examining the many styles and sub-styles of the art, however, it's wise to heed the advice of t'ai chi ch'uan Grandmaster Tchoung Ta-tchen. He insists that all are valid and beneficial to the student as long as the basic t'ai chi concepts are adhered to - even though many teachers proclaim that theirs is the only correct method. T'ai-chi ch'uan is usually literally translated as "grand ultimate boxing". I see this as meaning, instead of being an immodest title, the "grand ultimate" portion of the name refers to the Chinese concept of the origin of the universe. That is the principle of yin and yang. 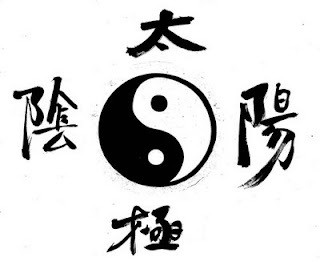 In fact, the common yin-yang symbol is properly called the t'ai chi diagram. I see t'ai-chi ch'uan being the art of the harmony of yin and yang, in tangible form. The history of t'ai chi is foggy at best. There are many conflicting stories from the past, and the confusion continues right up to the present. To make matters worse, there are many revisionist versions of t'ai chi's history which are expounded by those out to promote their own style as the best, or the most authentic. So it is difficult to get the full story. The foundation concepts of t'ai chi ch'uan, which come from Taoism and Confucianism, go back to the beginning of written history in China. They come from Lao Tzu's monumental text, Tao Te Ching, from the I Ching and from various other health-promoting and breathing exercise treatises. The actual art can be traced back only 300 to 700 years, however. The founder is said to be Chang San-feng (Zhang Sanfeng), who is thought to have lived from 1279 to 1368, but no one knows if he actually existed. Some experts claim him as just being a myth, while others argue he did exist and there are monuments to him in China. Many believed Chang San-feng was a Shaolin monk who decided to leave the monastery to become a Taoist hermit. On Wu Tang (Wudang) mountain, he gave up the hard fighting style he had learned and formulated a new art based on softness and yielding. One story tells how he had a vision between a snake and a crane (although some say it was a magpie, an eagle or a hawk). In theory, the crane should have had an easy time killing the snake, but in Chang's vision, the crane would try to attack the snake's head, and the snake would evade and hit the crane with it's tail. When the crane would try for the snake's tail, the snake would bite the crane. This resulted in the discovery of the basic t'ai chi concepts of evading, yielding and attacking. Chang assembled a martial art that used softness and internal power to overcome brute force. He is believed to have written: "In every movement, every part of the body must be light and agile and strung together. The postures should be without breaks. Motion should be rooted in the feet, released through the legs, directed by the waist and expressed by the fingers. Substantial and insubstantial movements must be clearly differentiated." This marked the beginning of t'ai-chi ch'uan, but at that time it was called chang chuan, or long boxing after the endless flow of the Changjiang (Yangtse) River. Later, Chang formulated the 13 postures of t'ai chi. While no one knows what his art looked like then, it is thought that the movements were practiced as individual techniques and/or concepts. The next major historical figure was Wang Tsung-yueh (Wang Zongyue), who wrote the second t'ai chi classic and first referred to the art as t'ai-chi chuan. He also coined the statement, "a force of 4 ounces deflects 1,000 pounds." He is thought to have expanded the original 13 postures into a linked choreographed form. Some historians believe Wang actually founded the art, while others dispute his existence as well. Another candidate for the role of t'ai chi founder is Chen Wang-ting. Some believe he created the art based on his military experiences, his study of local boxing methods and his gleaning of classical texts like Ch'uan Ching (Boxing Classics), which was written by Chi Che-kwong (Qi Jiguang) (1528 - 1587) as a compellation of known methods. Chen developed several forms, and his family passed them along only to its members. At the 14th generation, around the late 1700s and early 1800s, Chen's style spilt into the "old-frame" and the "new-frame" versions. The New frame was taught by Chen Yu-pen, and the Old frame by Chen Chang-hsing. It was at this time that an outsider learned the art and started opening it up to the rest of the world. These days, students can learn several versions of the Chen style - including the old frame, new frame and modern forms- as well as offshoots which developed in towns located near the Chen family village. There are many variations of Chen style. The Chen form requires the body to be straight and upright. Variations of the horse stance are emphasized. In the most popular version, which was taught by Feng Zhiqiang, the basic stance has the toes pointing outward slightly. Other forms use a parallel-foot horse stance. In all reputable versions, the knees are positioned directly above the toes. Most movements are executed with a sideways orientation - as if one's opponents are standing to the side. The two of the most famous and highest level teachers today are Chen Xiaowang and Feng Zhiqiang who teach different versions of Chen style. A novel part of the Chen style is the multitude of explosive movements: jumps, strikes and kicks. There is an emphasis on "silk-reeling energy", or the spiraling energy that flows from the feet to the hands. Even thought the art is performed quickly, the practitioner should remain loose and relaxed. Any tension or disjointed movements mean it is being done incorrectly. It is difficult to practice the Chen style correctly because of the ease with which excessive force and muscle tension can creep into its movements. Perhaps this is why some hard stylists can do impressive imitations of this style - but without using the correct concepts. It may also be the reason the Chen style appeals to martial arts students who need a tangible sense of speed and force. Some modern practitioners claim that Yang watered down the art he taught to the Manchus and reserved a different version of it for his townspeople and family. But this may be just a selling point for those who insist they teach the only "authentic" form. It is important to remember that Yang played a pivotal role in opening the once-closed art to the outside world. Two facts are significant: He learned the old-frame Chen style, and he was never beaten in combat. Even as a beginner, he defeated all of Chen's students. For those who claim he didn't learn all the secrets of the Chen family, this action speaks louder than any speculation. Because of his victories in challenge matches, he acquired the nickname "Yang the Invincible". Nevertheless, he always avoided hurting his opponent in a match. Two of his sons carried on his art and family tradition: Yang Pan-hou (a.k.a. Yang Yu) and Yang Chien-hou (a.k.a. Yang Jian). The senior Yang also taught Wu Yu-hsiang and was friends with Tung Hai-chuan, who was the founder of pa kua chang (bagua zhang) another major "Internal Style" of kung-fu. It would be easy to speculate there was some influence of pa-kua over the Yang's t'ai-chi ch'uan and Yang's t'ai-chi ch'uan over Tung's pa-kua chang. Wu Yu-hsiang (Wu Yuxiang) (1812-1880) studied under Yang Lu-chan for an extended time. He then traveled to the Chen family village, and for three months he studied the new-frame style, with Chen Ching-ping. After that, Wu founded his own version of t'ai chi, which is now called the Wu style, the old Wu style or the "Orthodox Wu style". This is a different family name and style than the Wu who studied with Yang Pan-hou and formed the "New Wu" form (described later). Some people call this form Hao Style after Hao Wei-chen. Li I-yu was Wu Yu-hsiang's main disciple. He wrote several t'ai chi classics, including The Five Character Secret and Essentials of the Practice of Form and Push Hands. That text was based upon a secret manuscript, allegedly written by Wang Tsung-yueh, which the Wu family claimed to find. Li style is considered a small frame form. Li I-yu taught Hao Wei-chen (Hao Weizhen) (1849-1920), who then founded the Hao style of t'ai chi. This is another small-frame form, which means it uses tight small-circle movements and shorter stances. This is called small frame (Xiao Jia) and the Hao style name is often used for Old Wu form. In 1914 Hao embarked on a trip to visit a friend named Yang Chien-hou, who was Yang Lu-chan's son and a major figure in Yang style. Hao ended up contracting an illness before he could find Yang. A well-known hsing-i master named Sun Lu-tang came to his aid, and Hao repaid him by teaching him his fighting style. Sun was already renowned for his hsing-i ch'uan and pa kua chang skills, but he decided to combine the Hao style of t'ai chi with the other two arts to form a new system called the Sun style, after Sun Lu-tang. Like the Hao style, the Sun style is considered small frame. It employs many "step-ups" into its techniques, and this fact makes it somewhat similar to hsing-i. The Sun style also used short stances and straight leg kicks, but jumps have been taken out of its repertoire. It is said that the art melded pa kua chang's steps, hsing-I ch'uan's leg and waist methods, and t'ai chi's softness. This is often called the "lively paced" form (Huobu Jia). The Sun style was carried on by Sun's daughter, Sun Jian-yun who teaches in China. Sun Lu-tang (1861-1932) is also well-known because he was highly literate and a prolific writer. This made him a rarity among martial artists of that time. He authored several books and in the late 1800's popularized the term nei chia chuan, which translates as "Internal Family Arts" or "Internal Martial Arts." The term Internal Martial Arts caught on and had a conceptual influence on other arts, which actually is different than the meaning of the term. The concept of Internal Arts referred to Arts developed within China such as T'ai chi ch'uan , Hsing-I Ch'uan, and pa-kua chang. External arts are those based on Shaolin ch'uan which came from India. This idea often confuses people as they think it means having to do with "Internal power". Yang Lu-chan's two sons carried on his brand of t'ai chi ch'uan. One of them, Yang Pan-hou, taught a modified small-frame style. He is also reported to have taught a watered-down form to the Imperial family and still another form to his towns-people. Several versions of t'ai chi are now attributed to Yang Pan-hou. The most famous is the other Wu style or "Medium Frame" form of Wu Jian-chuan (Wu Jianquan) (1870 - 1942) and another is Kuang Ping style (described later). Yang taught Wu Chuan-yu, who taught his son, Wu Jian-chuan. This style is called the "New Wu style" by some, and is distinct from the Wu style of Wu Yu-hsiang. Some Wu stylists advocate using a pronounced lean in many of the techniques to help the student gain leverage and power. Other Wu practitioners remain upright as in the Chen style. The original form had 108 to 121 movements, but several short and modified versions of Wu style now exist. Another t'ai chi ch'uan offshoot from Yang Pan-hou is the Kuang Ping (also spelled Guang Ping) style, which Yang allegedly taught at one point in his life. It's interesting to note that there are very few similarities between the Kuang Ping style and the Wu style. The Kung Ping from is more open and linear, and it uses a more sideways-oriented stance. It also has very extended arm movements and sometimes appears to be a bridge between the Chen style and the Yang style. As in the older Yang forms, the upright stance is used. The Kuang Ping forms use an upright stance and straight-leg heel kicks and jumping kicks. It is usually done at a faster pace, at least faster than the later Yang forms. The form also includes some fast step-up movements which are similar to those found in hsing-i ch'uan. Most of the techniques in the Kuang Ping form are different from those of the Chen, Yang, or Wu forms. Some people, such as Andrew Dale, a t'ai chi & pa-kua master in Seattle, say there is a large pa-kua chang emphasis in the form. Several versions of the style are taught today, mostly in California. Some other instructors teach the art but call it the Ch'en style. Yang Pan-hou taught the Kuang Ping form to Wong Jiao-yu. His followers claimed it was a secret of the Yang family's that was never taught to the hated Manchus. Wong supposedly taught Kuo Lien-ying, who was already a master of northern Shaolin kung fu. Kuo was also a famous master of pa-kua chang. Kuo later shortened the form and taught his condensed version to thousands of students. When Mao Tse-tung seized power in China, Kuo fled to Taiwan and later to San Francisco's Chinatown, where he taught the art. Kuo has many students who also teach versions of the Kuang Ping style; some of these are very different from what he taught. They include his wife Simone Kuo, Henry Look, Y.C. Chiang, Tom Brayne, and T.R. Chung. Kuo wrote two books, one of which was translated into English as Tai Chi Chuan in Theory and Practice, translated by T.R. Chung and has pictures of Kuo doing his form. Yang Chien-hou (1842-1917) taught large-, medium-, and small-frame styles of tai chi. He was easier to get along with than his brother and had more students. One story told how he once held a sparrow in his hand and used his sensitivity to prevent the bird from taking off by neutralizing its push. In another story, armed only with a brush Yang is said to have defeated a martial artist who was wielding a sword. His sons, Yang Shao-hou and Yang Cheng-fu, carried on his art. Some of Yang Cheng-fu's students originally trained under his brother, Yang Shao-hou. Consequently, they inherited the energy of that form. Stories of Yang Shao-hou described him as being brutal and often injuring or killing his students. Consequently, he did not have many followers, but the ones he did have were good martial artists. The well-known ones include his son Yang Chen-seng, Tian Shao-lin, Hsiung Young-hou, and Chang Ching-ling, all of whom carried on his unique small-frame method. After Yang Shao-hou died, his students became followers of his brother, Yang Cheng-fu. Some tai chi historians claim that many of the senior students of Yang Shao-hou, believing their skill was higher than Yang Cheng-fu's, went off on their own after Shao-hou died. Thus, they were written out of the official lineage, and some practitioners do not consider their versions of the art authentic. Some experts claim that Tian Shao-lin and Hsiung Young-hou were also students of Yang Pan-hou. Tian taught Shi Tiao-mei, who taught Tchoung Ta-tchen. Hsiung Young-ho also taught Tchoung Ta-tchen - as well as Liang Tung-tsai and several others - the san shou form. Researcher Andy Dale refers to this San Shou form as another "secret" Yang style, which Yang Shau-chung claimed was derived from the Chen Ar Lu style (pao chui, or cannon fist), as taught by Yang Lu-chan. Yang Cheng-fu (1883-1936) was one of the most important historical figures in modern t'ai chi ch'uan. He taught a "Large Frame" t'ai chi form that used slow, smooth, expansive movements. It was often said that he felt like a steel bar wrapped in cotton. Legend has it he was never defeated in combat. Chang Ching-ling an advanced student of Yang Shao-hou also practiced with him and may have helped develop Yang Cheng-fu's skill. Yang taught at the Central Kuo Shu Institute in 1926. When he moved south to Shanghai, he modified the Yang form, taking out the fast kicks and the more strenuous movements. He is also credited with emphasizing the health benefits of the art and popularizing it among the educated class. Yang deserved much of the credit for the current popularity t'ai-chi ch'uan and especially of the Yang style. Some claim he taught one art to the public and another to his closest disciples. Though many experts deny this idea. His form is referred to as "Yang Family Style", as the "Family" designation is only appropriate for familial relations. Tchoung Ta-tchen taught the "Dual form" of the Old form of the Yang style form. His is a symmetrical form in that all movements are done on the right and left sides, which is different than most standard forms which are one sided. This symmetrical movement is thought to promote greater benefits for the nervous system and for coordination, though is more difficult to learn at first. There is also an emphasis on the "Silk Reeling Energy" which is omitted from many other Yang versions. It also emphasizes pull-down, shoulder and elbow techniques as well as some fast kicks, which the more modern Yang Forms have removed. At 274 movements, this form is much longer than the standard versions; it actually takes an hour to complete. Tchoung's "annotated form" is composed of 120 movements. Tchoung's method can be traced back to Yang Pan-hou and Yang Shao-hou, depending on which historian is believed. His students also teach his short form, pushing hands, applications, san shou, walking stick form, t'ai-chi chien, t'ai-chi tao and several other sword forms. Tchoung also trained with Hsiung Young-ho (1886-1984), who was a student of Yang Shao-hou. From Hsiung he learned the san shou fighting form. He trained in push hands with Cheng Man-Ching and was a friend and practice partner of Kuo Lien-ying, Wang Shu-chin, Yuan Tao and Wang Yen-nien. Tchoung studied ch'i kung at China's O'mei Shan (Emei Shan) monastery in 1942. Tchoung also studied the "Nature School of Boxing" with Hsiung Chien-yuan of Hangchow. He was a renowned swordsman and studied many systems of sword. Teaching several methods to his followers. Like his friend Kuo, Tchoung traveled around and tried out other martial artists. If he heard that master was supposed to be good at push hands, Tchoung would visit him. According to Laurens Lee: "He was famous in t'ai-chi ch'uan push hands in Taiwan. During that period of time, there was a statement in Taiwan's martial arts field: 'Big Tchoung cannot be moved, and Little Tchoung cannot be pushed off balance.' Big Tchoung referred to eagle-claw master Tchoung Fu-sheng, and Little Tchoung referred to Tchoung Ta-tchen." There are many students and teachers of the Tchoung system in Canada and the USA. Yang Cheng-fu taught several well-known instructors, including his son Yang Shau-chung, Tung Ying-chieh, Chen Wei-ming and Cheng Man-Ching. Each went off to teach his own version of the Yang style. Fu Zhen-song studied with Yang Cheng-fu and Sun Lu-tang, then formed his own style, which he called the Fu style. It combines t'ai-chi, hsing-i and pa kua chang. Fu developed the form called liang-i, as well as his own version of pa kua. Fu's forms contain a lot spinning, twisting, body ripping, and backward and forward leaning. It is a very active and energetic form, which is a popular competition form. Well-known teachers include Bow Sim Mark in Boston, Massachusetts; and Victor Fu in Vancouver, British Columbia, Canada. This is a variation of Yang Cheng-fu's form that is popular in Hawaii and Los Angeles. Tung Ying-chieh (1888-1961) is a famous teacher of the Yang style and was Yang Cheng-fu's assistant. He also helped edit Yang's book and wrote some of his own. Tung later developed his own form, which he taught his students after they learned the standard form. His son, Tung Fue-ling, taught the style in Hong Kong, Hawaii and Los Angeles. The Tung version of the Yang style became popular in Los Angeles and Hawaii. Huang Wen-shin, a student of Tung Ying-chieh, is usually credited with popularizing t'ai-chi ch'uan in the Southern California area through his classes and his book, Fundamentals of Tai Chi Chuan. Huang's students are still teaching a modified version of that form. The Tung style is said to have descended from the Yang Cheng-fu form, and the Tung family added fast forms it developed and other forms. The style is characterized by higher elbow positions, angularity, a greater amount of hand tension and reduced usage of the waist than the Chang Ching-ling or softer derivatives. Some observers believe that the Tung form seems to place more emphasis on peng (ward-off energy) and less on yielding. It is a very straight forward form of t'ai-chi ch'uan. Tung Fue-ling's son Tung Kai-ying, teaches in Los Angeles. Cheng Man-ch'ing was a well-known student of Yang Cheng-fu who wrote several books, including his famous Cheng's 13 Chapters on T'ai-Chi Ch'uan. He was famous for his pushing hands and had many students in Taiwan. Some historians have suggested that Cheng also trained with Chang Ching-ling and other students of Yang Shao-hou, but Cheng officially recognized only Yang Cheng-fu as his teacher. Cheng at first taught the standard form but later shortened it to 37 movements. Cheng, who was well-known for his push hands and softness, also had very good kicking skills. He later moved to New York and started teaching there which lead to popularity of his form. There are stories which tell how Cheng was knocked unconscious twice while engaging in push hands with Yang Cheng-fu. He is also reported to not have gotten along with Kuo Lien-ying or Hsiung Yang-hou, who did not like his style. But was friends with Tchoung Ta-tchen who practice pushing hands with him. His friend Tchoung Ta-tchen moved to Canada. Liang Tsung-tsai was his teaching assistant in Taiwan and moved to Boston where he taught his own long form version of Yang style. Liang wrote books on the art including, T'ai Chi Ch'uan for Health and Self-Defense. Several of Liang's students have published many books on their version of the art. Each teacher of Cheng form went their own way and there are now many versions and modifications of the Cheng Man-ch'ing form. In Taiwan he was a famous tai chi instructor. There were many skilled teachers who worked with him, some stayed in Taiwan such as Liu Se-heng, who inherited his school in Taiwan. Other famous students who moved to the United States, including Ben Lo, T. T. Liang, Abraham Liu and William Chen. Many versions of Yang style are taught today. Some are called the "standard" or "authentic" versions and claim to be based on Yang Cheng-fu's 1930s form. In reality, t'ai-chi practitioners often shared information, sparred and worked out with practitioners of other styles, and this probably influenced everyone's technique. This was apparent before the cultural revolution in China and afterwards in Taiwan. No two masters seem to be doing the exact same form. According to Tchoung Ta-tchen this is to be expected, as no two person's energy is the same. According to Tchoung as long as the concepts are correct the small artistic differences are inconsequential. There are many examples of possible sharing of ideas. For example, Yang Lu-chan was a friend of Tung Hai-chuan the founder of pa kua. Do you think they did not work out together and discuss concepts? Hao Wei-chen was a friend of Yang Chien-hou and taught Sun Lu-tang. Chen Wei-ming, a well-known student of Yang Cheng-fu, was friends with Sun Lu-tang and studied pa kua chang and hsing-i chuan with him. As mentioned above, there is speculation that Cheng Man-ch'ing also worked with Chang Ching-ling and Yang Shao-hou's students. Yang Shao-hou was a friend of pa-kua chang legend Cheng Ting-hua. And Tchoung Ta-tchen was friends and training partners of Kuo lien Ying, Cheng Man-ch'ing, and Wang Shu-chin among others. It is very possible that their associates influenced their arts. One would be foolhardy to not think these men learned to adapt and allow their forms to evolve. According to Tchoung. "T'ai-chi ch'uan should adapt and evolve with current technology and knowledge," he claims it is a living, evolving art form. Otherwise it is just stagnant and against the Tao (Dao). Currently there is a power struggle between the two factions of the Yang family: the Fu Zhong-wen side and the Yang Zhen-dou side. Fu began studying with his uncle, Yang Cheng-fu when he was 9. Fu became a disciple of Cheng, and his followers even say he was Yang Cheng-fu's favorite family disciple. Fu recently died, and his son, Fu Sheng-yu, carries on his art. Yang Zhen-dou is the son of Yang Cheng-fu and is considered by many to be the fourth-generation inheritor of the Yang style, even though simple math shows that he was only 10 when his father died. But Yang and Fu had plenty of expert family members from who to learn so is very skilled. There seems to be some controversy as to whether Fu or Yang carried on the true from of Yang Cheng-fu. Basically Yang (surname) family members say only those related to the family with the Yang family name, can really claim they teach "Yang Family" t'ai chi. The say others teach "Yang Style" t'ai chi, Not "Yang Family Style", a distinction they want to make very clear. Outwardly the patterns are the same, but there are significant differences in the way the two Yang forms are done. In the Yang Zhen-dou version, many of the movements - such as the one called "brush knee" - have a slight lean. (Interestingly, this is similar to how it's done in some versions of the "new Wu style.") But in the Fu version, the body is held upright, as is done in the Chen and Kuang Ping versions, Yang Zhen-dou argues that if you look at pictures of Yang Cheng-fu, you can see him lean. They both agree that their ways differ from other forms, as well. In reality it matters little, as to small differences in styles as long as one does the exercise, the benefits will follow. Similar arguments are found in Chen style and other forms as well. There are many new forms such as the "24 from "developed in 1956 by Committee on Mainland China. These were developed as calisthenics exercise methods and for competition. For example the 24 Simplified form is mainly Yang style used for exercise, but others such as the 48 and 66 Forms combine several styles methods into one form. Simplified sword forms have also been developed for exercise and competition. Several of these new forms are designed as competition forms and lack the essence of the more traditional forms. Many schools teach the 24 Form as an introductory form to the art, while others only teach that form. Though many instructors of traditional methods have questioned the energetics of the 24 form, as it does not seem to have the same benefit as does the other more standard Yang forms. This may be due to an incorrect order of the techniques. In my opinion the equivalent to studying the 24 form would be learning the first section of the Traditional Yang, Tchoung or the Cheng form, and would give the student much better energetic results. As enlightened martial artists are fond of saying, the study of most any style will ultimately benefit the student. Therefore, the student should choose the style that most appeals to him. It is hoped that the historical and developmental information provided in parts one and two of this article will enable martial artists to better decide which style of t'ai-chi ch'uan best fits their need. Because numerous experts devoted their life to perfecting each version of the art, they all deserve to be respected. Harvey Kurland is certified as a "Sifu", a professional teacher, of T'ai chi ch'uan by the Chinese T'ai Chi Ch'uan Association. He studied with many notable grandmasters including Kuo Lien Ying, Liang Tsung-tsai, Chen Xiaowang, and Tchoung Ta-tchen and others. Kurland also has Professional Certification from the American College of Sports Medicine, National Strength and Conditioning Association, and International Sports Sciences Association. Kurland has a Master of Science Degree in Exercise Physiology and a degree in Community Health Education. He did an internship with the Cardiac and Pulmonary Rehabilitation Institute in Seattle and did a preceptor ship in Sports Medicine at the University of Washington Medical School under Dr. James Garrick, where he did research into the effects of t'ai chi ch'uan. Kurland has taught exercise science, health education, and worked as a clinical exercise physiologist for many years. He was an Exercise Specialist in outpatient cardiac rehabilitation under Dr. Albert Kattus and worked with Dr. Ronald Mackenzie in Preventive Medicine. Kurland was the Director of Exercise Physiology for the National Athletic Health Institute and was in charge of testing most of the professional athletes in Southern California, including the LA Dodgers, Kings, Lakers, Rams and Lakers. He was also a consultant to LAPD Training Academy and was a member of the LAPD Medical Advisory Board. He is now a member of the LAPD Civilian Martial Art Advisory Panel. He currently teaches for University of California Riverside, Loma Linda University and Riverside Community College. Kurland has conducted several studies into the energy cost of t'ai chi ch'uan. He has published over 200 professional and lay articles on health, fitness, martial arts, and t'ai chi ch'uan. Note: Harvey Kurland's credentials are impeccable to say the least but I must question his comments about the 24 Simplified fom. I have been doing a 24 Step (Posture) Yang Style Form for over 19 years and if I generate anymore energy, I will be included in the new Green Energy Bill in Congress...lol! I have seen a couple of 24 Posture forms that just did not make sense because some of the postures interupted the flow of the form. If he is talking about this, then I can understand his analysis. This shows you the importance of finding the right teacher. Mine learned and trained with a "Family" Master in China. I have a copy of a VHS tape of her, yes "her",...performing my Form at normal and slow speed. It also contains a section with her teaching, I believe, 20 different Temple Exercises (Chi Kung) too. I plan on digitizing it when I learn how and saving it to my computer. I will then put it online for all to enjoy. I have never seen such calm focus and beautifully fluid movement in my life! Hi Wolf... I'm back here. Could you please help me? Take a look at my blog. Hello again... could solve the probems. One thing still remain.. do you know how I can hide the quick edit icons in the right side of my page?